Christmas 4 Kids has announced its lineup of participating artists for the non-profit's 2018 Tour Bus Show. On Monday, December 17 at 5:00 p.m. at the Hendersonville, Tennessee Walmart, stars will gather on parked tour buses to meet fans and give them an inside look at a country artist's home on the road. This year's celebrities include Hunter Hayes, Little Big Town's Kimberly Schlapman, Craig Wayne Boyd, 3 Doors Down, Cody Webb, Ciera MacKenzie, 38 Special, Deborah Allen, Bucky Covington, Ashton Shepherd, The Belles, Cherish Lee, Adairs Run and more. "This is an event I have been a part of for many years," says Craig Wayne Boyd. "I'm always glad to be a part and bring the Christmas cheer and smiles to faces." On Tuesday, December 18, over 400 underprivileged children from 29 different schools around Middle Tennessee will participate in a day-long shopping excursion. 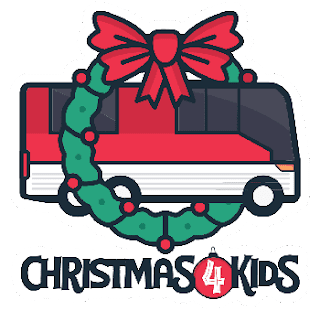 This special day consists of a chauffeured trip from their school aboard an entertainer's luxury tour bus, dinner, and a party hosted by Santa and Mrs. Claus. To wrap up the day, the tour buses journey to the Hendersonville Walmart, where the kids receive a brand new winter coat, and $150.00 to spend on anything they like.